Leading Manufacturer of bs 3059 part.ii gr.360 boiler tubes and superheaters coils from Mumbai. 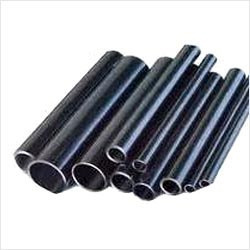 PUSHPAK is one of the leading manufacturers for CORTEN STEEL / CARBON STEEL APH BOILER TUBES (IBR) / CDW (COLD) Tubes / SS ERW TUBES with complete range of relevant fittings. We cater to a huge customer base spread across various industrial sectors. Air Pre-Heater (APH) Boiler IBR- (Indian Boiler Regulation) Tubes are manufactured in a wide range to meet the desired customer specifications. 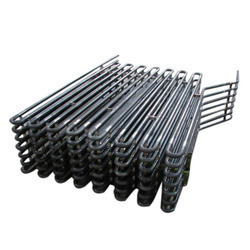 Superheaters Coils are the most critical Boiler Component of the modern day Thermal Power Plant and are subject to very high metal temperatures. In fact the capacity of the Superheater to work without failure at higher Temperatures is what determines the boilers Capacity and it effects improvement in economy by reducing Steam Consumption of the Steam Turbine. We have fabricated thousands of Superheaters - Radiant, Pendant, Final, Fluidized Bed types, Reheaters for all kinds of Boilers having Complicated very close and Compact Shapes with tube sizes ranging from 32mm OD to 101.4mm OD and thickness from 3mm of 12mm in all types of Boiler Quality Steel Grades ranging from Carbon to Alloys and Stainless Steel for metal temperature ranging up 650 C and for Boilers of 10 to 500 MW Capacity.